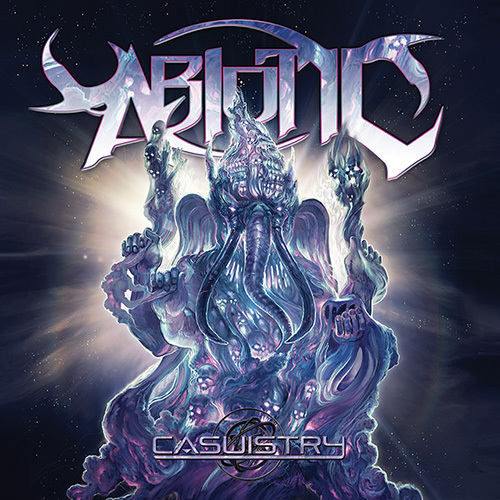 ABIOTIC released their sophomore album Casuistry last week on Metal Blade Records. The critically acclaimed album cracked two of the Billboard Charts this week. Casuistry clocked in at #50 on the Billboard Current Hard Music Album Chart and #68 on the Billboard New Artist Chart. Casuistry is available for purchase at http://www.metalblade.com/abiotic. While there be sure to check out the stream of “Cast into the Depths“, featuring Dying Fetus front man John Gallagher on guest vocals. In support of the album, the band is currently on an extensive North American tour. ABIOTIC is heading out alongside Boris the Blade, Alterbeast and more. The tour stops tonight in Salt Lake City, UT and wraps up May 8th in San Francisco, CA. In addition to the dates with Boris the Blade, ABIOTIC will play an additional headline date on the way back home. A complete list of dates can be found below. A play through video for the song “The Absence of Purity” which features a guest solo from Between the Buried and Me’s Paul Waggoner can be viewed HERE. Guitarist John Matos had to learn the solo and will be playing it live on tour this month!